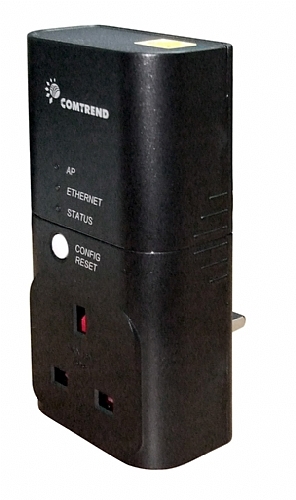 The PowerGrid902, UPA (Universal Powerline Association) compliant Ethernet adapter, provides highquality data transmission for high-speed networking. It allows users to extend a local area network viaexisting power lines, which eliminates the need for extra wiring. Installation in a home (or small office)is quick and easy as the PowerGrid902 comes complete with plug and play technology. Comtrend’s PowerGrid902 can achieve line rates of up to 200 Mbps. Such high speed transmissioncan support on-demand video, on-line gaming, multimedia downloading or other broadband uses.Sharing peripherals such as DVs, printers, scanners and digital cameras is also supported. Additionally,the PowerGrid902 features advanced encryption algorithms to safeguard your network integrity.